2015 Ford Mondeo review | What Car? Back in the mid-'90s, the Ford Mondeo was Britain's most popular company car. Revered for its brilliant handling, spacious interior and great value, it was the vehicle of choice for sales reps across the land. Times have changed, though, and ‘Mondeo Man’ is now far more likely to be driving a BMW 3 Series or an Audi A4, as company car drivers have been tempted out of mainstream family cars by the allure of premium-badged saloons. However, Ford is fighting back, and rather than chasing the premium end of the market – the route VW has gone down with its latest Passat – it’s decided to focus on what it does best: great driving dynamics at an affordable price. That means the Mondeo undercuts its key German rival by around £1500 and, if you choose the right version, it’ll work out considerably cheaper to run as a company car thanks to its lower CO2 emissions. The entry-level 1.6 diesel (with a CO2 output from just 94g/km) is the most efficient model in the range, but even the more powerful 148bhp 2.0-litre version emits a very respectable 107g/km, as long as you stick with the six-speed manual gearbox. Petrol buyers have the choice between a 158bhp 1.5 turbo petrol and a 237bhp 2.0 turbo, while there’s even a 99g/km petrol-electric hybrid version – the only model in the new line-up available as four-door saloon, rather than a five-door hatchback. 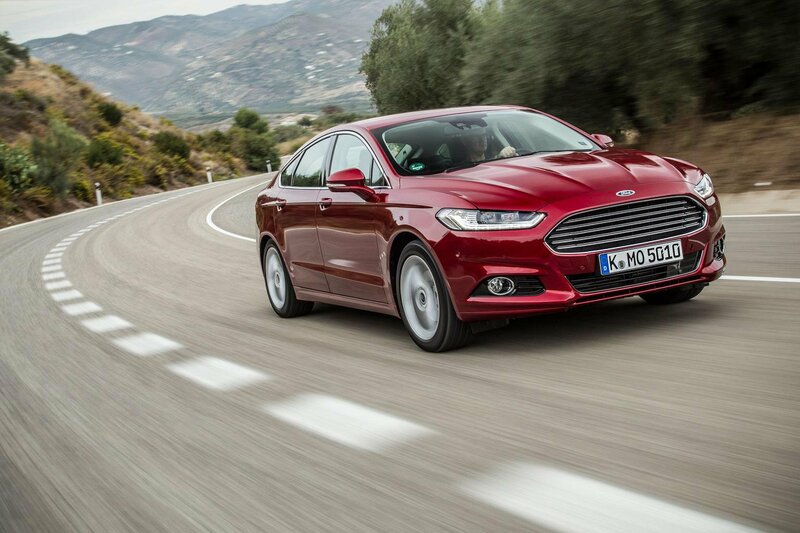 What's the 2015 Ford Mondeo like to drive? Ford has always had a knack of building cars that not only handle brilliantly, but that also ride comfortably, and the previous Mondeo was one the greatest showcases of the company's talents. This new model doesn’t disappoint. It’s really agile for such a large car, turning into corners eagerly and staying planted and upright through tight twists and turns. Our test car was fitted with optional Continuous Control Damping, which allows you to alter the stiffness of the dampers by choosing one of three modes – Normal, Comfort and Sport. There are subtle differences between these settings, but all give a firm but well-controlled ride. You feel bumps around town, but they’re never jarring, and the Mondeo is seriously comfortable when you get up to motorway speeds. In Sport mode, you also get heavier steering, which is preferable to the overly light steering in Comfort and Normal. 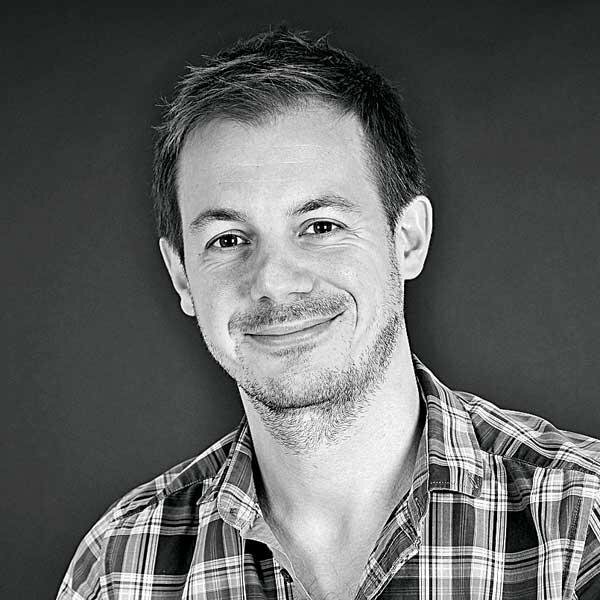 Sadly, there’s still not a great deal of sensation streaming to your fingertips, which is one area the Mondeo has definitely taken a step backwards. For this, you can blame the new electric power steering, which has been fitted to improve fuel efficiency. We tried the range-topping 178bhp diesel. It’s certainly a refined engine, staying hushed even when worked hard and sending few vibrations through the controls. The trouble is, it doesn’t feel all that fast. You don’t get that kick through the mid-range you’d expect from a powerful diesel car, and even when you rev the engine, acceleration is never anything other than respectable. Although some chassis parts are carried over from the previous Mondeo, the rear suspension is entirely new, and Ford claims it helps significantly reduce road noise. Our experience with the car in Spain certainly suggests the new car is a very quiet motorway cruiser, with minimal wind and road rumble disturbing the peace. That said, the UK’s battered roads will provide a much sterner challenge. What’s the 2015 Ford Mondeo like inside? The centre of the dashboard is dominated by a new 8.0-inch colour touch-screen, through which most of the car's infotainment functions are controlled. It’s undoubtedly a big improvement on the outdated system in the previous Mondeo, being quicker to respond to inputs and easier to see in bright conditions. However, it’s a shame the menus aren’t a little more intuitive – you’re often confronted with numerous small on-screen buttons, which need studying carefully before you know which one to press. On the plus side, the touch-screen keeps the rest of the dashboard mercifully clean and clutter-free, and the few physical controls there are – such as those for the air-con system – are easy to fathom. Just don’t expect to be blown away by the quality of the cabin. True, the dashboard is made mostly from dense and soft-touch materials, but some of the fixtures and buttons feel a bit cheap and flimsy. The new Mondeo is one of the longest cars in its class, so there are acres of rear legroom. Carrying three in the back is also relatively easy, thanks to the car’s broad cabin, although tall passengers won’t have a huge amount of room above their heads – especially if they’re sitting in the middle. Being a hatchback – rather than a saloon – the Mondeo’s boot is easy to access. It’s huge, too, with 550 litres of space with the rear seats in place and 1446 litres with them folded down. That maximum capacity is bigger than that of almost all the Ford's four-door rivals, including the new VW Passat. That said, it’s a pity there’s no height-adjustable boot floor to iron out the pronounced step in the floor of the load bay when you drop down the rear seats. There’s also a hefty lip at the entrance to the boot. Zetec and Titanium are expected to be the most popular trims, and the former comes with most of the kit buyers are likely to want – you get 16-inch alloys, a DAB radio, dual-zone climate control, cruise control and electric front windows. Meanwhile, Titanium trim adds luxuries like bigger wheels, keyless start, sports seats, sat-nav, automatic headlights and wipers and a lane-keep assist system. The reality is you probably won’t be the one doing the buying; you’re far more likely to be considering a Mondeo as a company car. If that's the case, the Ford stacks up pretty well, with competitive leasing rates and – if you choose the right engine – CO2 emissions that undercut those of many rivals, including the new VW Passat. However, the 178bhp diesel model we drove isn’t that easy to recommend. Starting at £24,245, it just doesn’t feel fast enough to justify its price, and its CO2 output of 115g/km isn’t all that remarkable, either. We’ve little doubt that more prudent versions will merit at least an extra star, but in this form the new Mondeo doesn’t quite hit the spot.